Fig. 1. 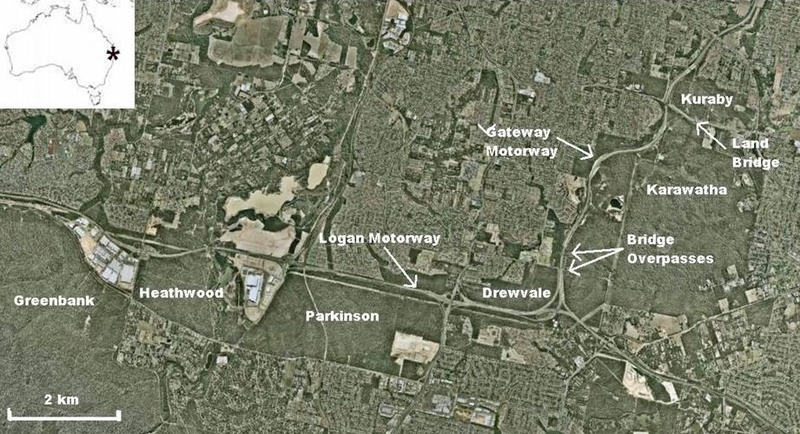 Aerial photograph of the study area landscape showing six forest remnants and the location of the Compton Road land bridge. Source: Google Earth.